1. 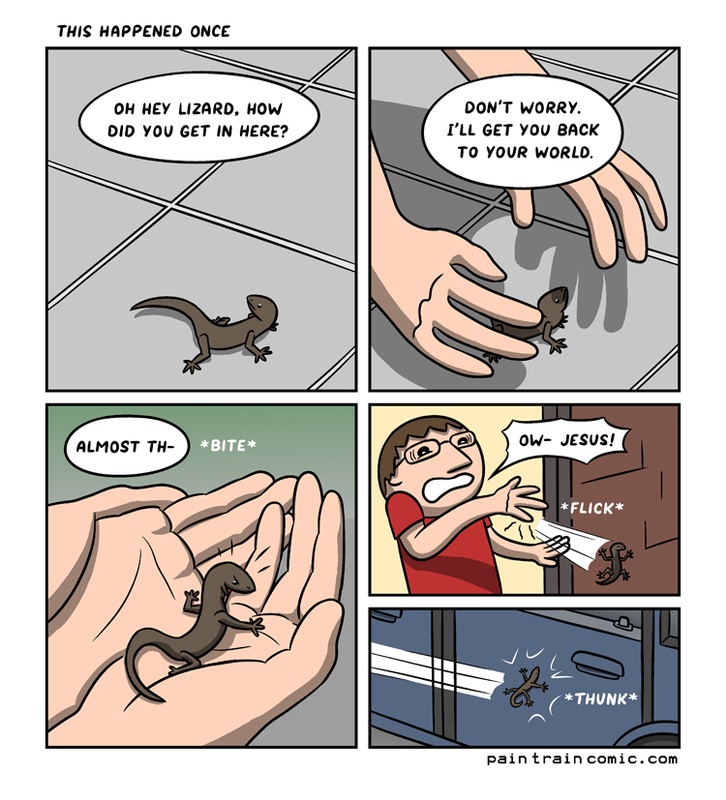 This is the lizard replying to the first panel. 2. Upon inspection of the area immediately after the accident, the lizard could not be found. I can only conclude it was unharmed and scampered to safety.